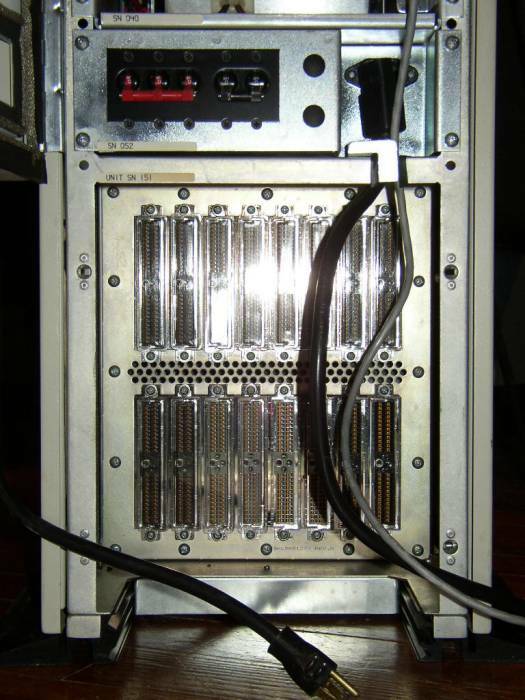 The logo, control panel, cardcage (front-on), rear of the unit opened, the connectors for the computer and a memory card. 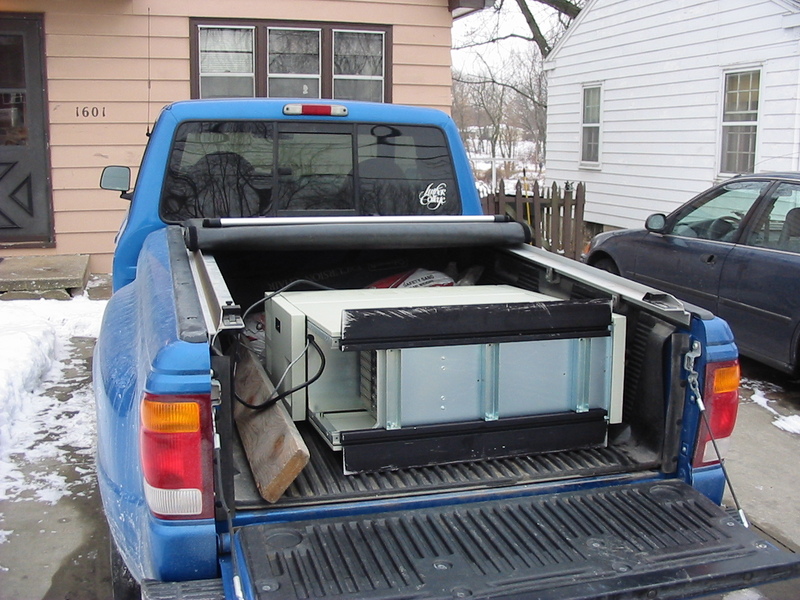 Here is a picture of the Orion in a friends Ford Ranger deck, after he had been kind enough to pick it up for me (Thanks Adam). 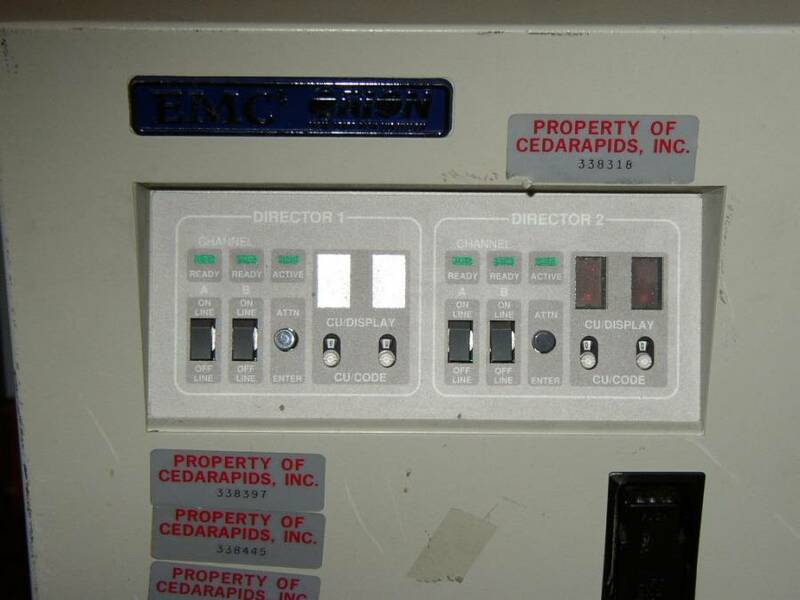 EMC² is a surprisingly infamous company, considering they produce, arguably, the finest disk systems in the world - for example, the NYSE runs on EMC² products. 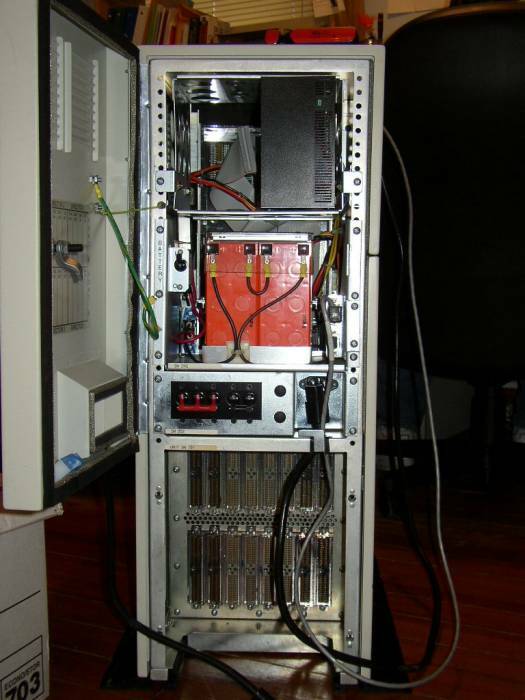 EMC²'s foray into computer disks began with the Orion, a solid state disk, capable of up to 512MB capacity, which emulates IBM 3370 or 3380 DASD disks. A solid state disk has, instead of a rotating magnetic hard disk, a bunch of memory cards instead, so that the latency between requests is very small (The Orion has a 0.1ms seek time - most magnetic disks today have a seek time of somewhere around 0.9ms) and allows large amounts of data transfer (4.5MB/s, which isn't that much now - but considering the machine came out in 1987... It's impressive for its time, limited only really by the disk bus speed). 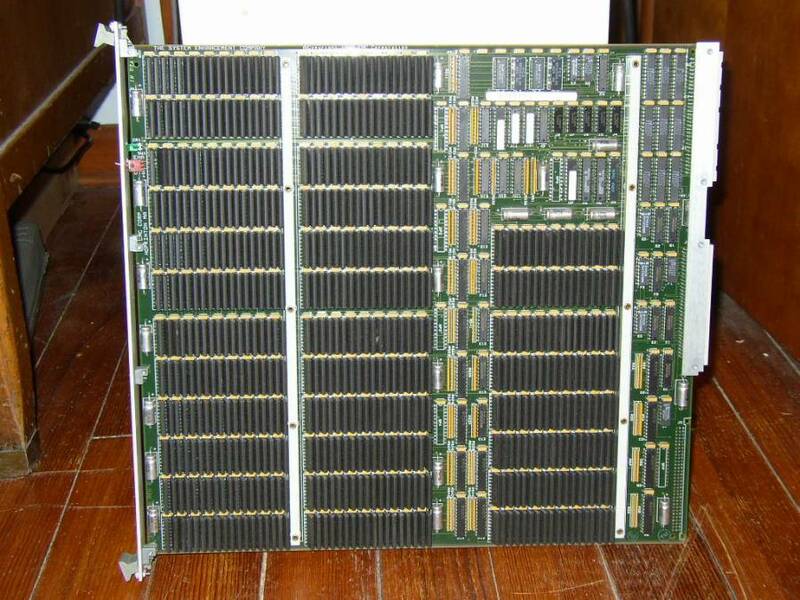 My unit has 5x 64MB cards (= 320MB), with a single Director (controller) card. The machine has a VME like bus. 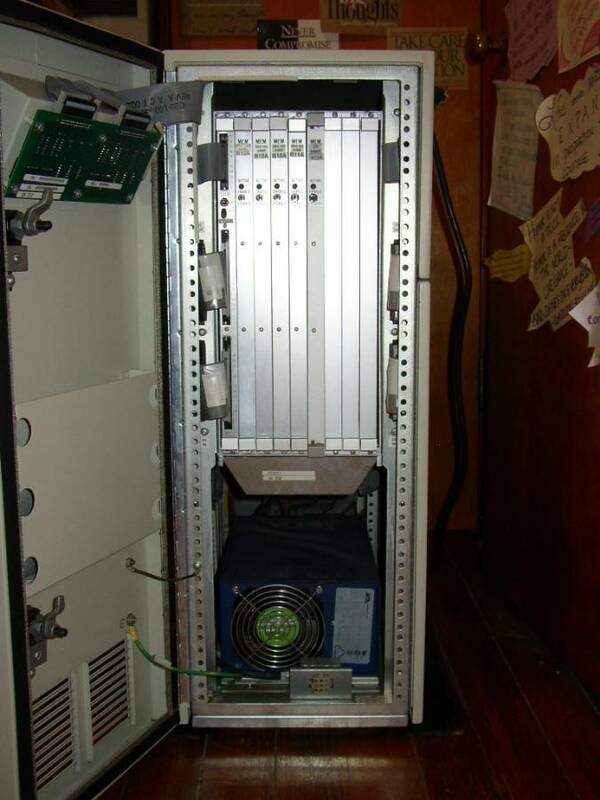 The Director emulates the IBM disks, and also maintains the SSD backup, so if the machine is powered down, all of the data in memory is written to a 320MB SCSI disk in the rear of the unit. Just to make sure an emergency power down situation doesn't make you lose your data, the Orion also has two sealed lead-acid batteries to keep the machine alive long enough, presumably, for the Director to backup all the data to disk and then gracefully shut the machine down. Pretty cool, huh?